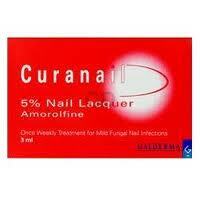 « What Are The Most Effective Treatments for Nail Fungus Infections? Are There Any Over the Counter Nail Fungus Treatments That Actually Prove Effective? Treatments That Actually Prove Effective? As microorganisms go, fungi seem to be one of the strongest strains. It is much harder to kill them than bacteria and viruses. Dermatophyte, molds and yeasts can invade your nails and burrow deep into the nail itself, creating quite the armor of keratin for this marauding nail fungus. This makes treating onychomycoses much more difficult as even powerful antimycotic medications are not always entirely effective. So this begs the question of whether any of the available over-the-counter nail fungus treatments are effective and worth your time and money. It is an unfortunate but true fact that very few topical treatments, whether prescription or over-the-counter, effectively treat and cure nail fungus infections. A very popular over-the-counter topical onychomycosis drug that has been proven to be effective in clinical trials is amorolfine. This topical drug is available without a prescription in a handful of countries such as the United Kingdom and New Zealand. It’s marketing name is Loceryl. Amorolfine comes as a nail lacquer and is painted on the nail like a polish. This leaves the medicine free to penetrate the nail after it has dried and allows it to work over time, just as the nail fungus does. It is active up to a week, then may need to be re-applied. Amorolfine works by inhibiting the cell membrane of the fungus. It is only effective on distal (or lateral) subungual onychomycosis. This leaves out proximal subungual onychomycosis and superficial white onychomycosis. Knowing which type of onychomycosis you have contracted is important if you wish to choose this over-the-counter method. Amorolfine is not available in the United States as an over-the-counter remedy, which is inconsistent with other countries’ policies. There are a few side effects but they are mild and rarely occur with proper usage. A burning sensation while applying the lacquer for the first time has been reported, but it goes away quickly. As online pharmacies become more popular, it may be possible to obtain amorolfine in the U.S. via these services who sell it over-the-counter. However cost may be an issue as Loceryl (the commercial name for amorolfine) can cost around $100.00 – $150.00 for a single 5 ml tube. There are several over-the-counter anti-fungals that are very successful at treating skin fungus problems but are not successful nail fungus treatments. Lamisil is a decent oral onychomycosis treatment when it is prescribed in tablet form. However it also has an over-the-counter form of a topical cream, which has not proven effective at treating nail fungus. Lotrimin (also known as clotrimazole) is very effective at treating athelete’s foot and jock itch but has not tested or been shown as a good nail fungus treatment. Tolnaftate (or Tinactin) is the third over-the-counter product that although it is an excellent skin fungus treatment, does little or nothing for nail fungus. A more promising solution in terms of over-the-counter medications is an anti-fungal nail liquid of undecylenic acid. Two different papers, one published in 1965 and the other published in 2008 examined the use of undecylenic acid in treating onychomycosis. The 2008 study shows a positive effect, however in these tests the undecylenic acid was combined with cyanoacylate and hydroquinone. There is no definite proof of undecylenic acid being effective on its own. In the realm of alternative medicine, Tea Tree Oil, (Melaleuca alternifolia) has been shown to have some positive effect on nail fungus. As it is a naturally occurring fungicide and insect repellant, applying a 100% concentration of the oil to the infected area has been reported by small studies to be able to cure 20% of the cases followed. In two-thirds of the patients followed, using Tea Tree Oil caused an improvement in the appearance of the nail fungus infection. Another study compared the twice daily application of 100% Tea Tree Oil and a 1% solution of clotrimazole. The Tea Tree Oil appeared to be slightly more effective at clearing up the nail fungus problem. All of these topical products are applied and have been tested in cases where there has not been surgery to remove the nail before applying the product. It is possible that removing the nail before treatment, via surgical, mechanical or chemical method, may improve the chances of an over-the-counter nail treatment clearing up a nail fungus as this allows the medicine to get directly to the source of the infection. If you are considering surgery or any other form of nail removal as part of your onychomycosis treatment, please ask your surgeon or doctor for information about follow up nail fungus treatments. If you do not wish to go the surgery route to solve your onychomycosis issues but do wish to cure your nail fungus, the best chance of success still lies with taking oral antifungal agents, which are currently only available with a doctor’s prescription.